Two of the major highlights of CanLit and Canadian film. Mordecai Richler’s best and wittiest character novel and a well-done movie adaptation true to the spirit of the book. A man’s life, warts and all, from youth to death presented in amusing and mysterious uncompromising detail in both versions. The movie, if you’ve not seen it, is an irreverent romantic crime-mystery which portrays the flawed protagonist sympathetically. 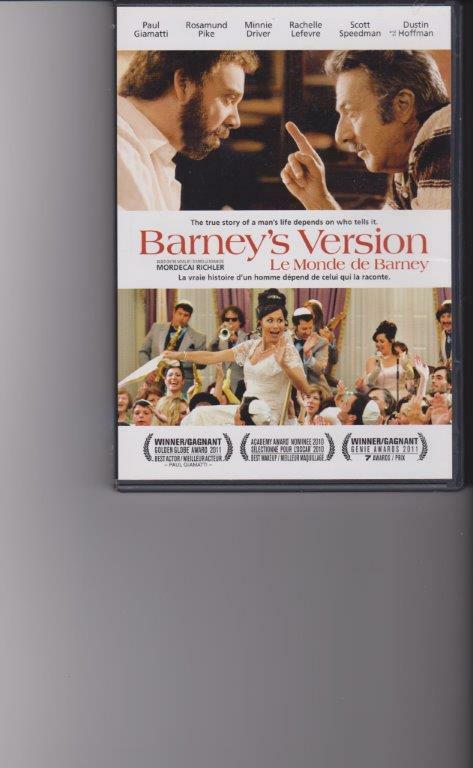 Barney is a man who wears his heart on his sleeve even though he hurts others in the process. Paul Giamatti makes an excellent Barney, Dustin Hoffman his tactless father, Minnie Driver his frustrated overbearing wife, and Rosamund Pike his beautiful third wife who turns out to be much better than Barney thought. A very different kind of movie experience and certainly uniquely different and better done than 90% of Canadian movies. 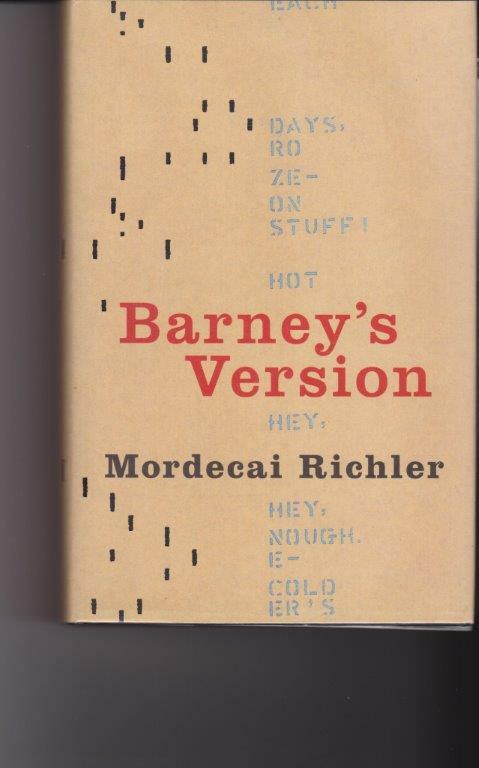 But if you really want to get to know Barney well and better, read the original! Excellent use of point of view, very funny, and thoroughly engaging. I still think it’s the most entertaining high-quality Canadian novel ever written.